Friday, December 14, 2018 at 5:45 p.m. Put on your pajamas, bring your blankie and come to CSZ for a fun, musical Shabbat service geared toward families with children ages 0-6. Join us for a Dairy buffet dinner, crafts and games and a stuffed animal blessing. 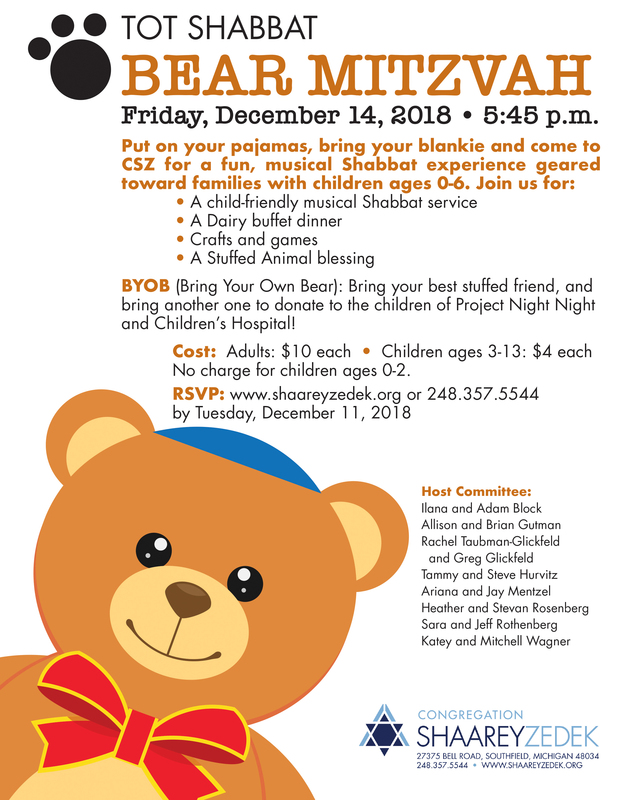 BYOB (Bring Your Own Bear): Bring your best-stuffed friend for a blessing, and bring another one to donate to the children of Project Night Night and Children’s Hospital! Click HERE for information, costs and RSVP.